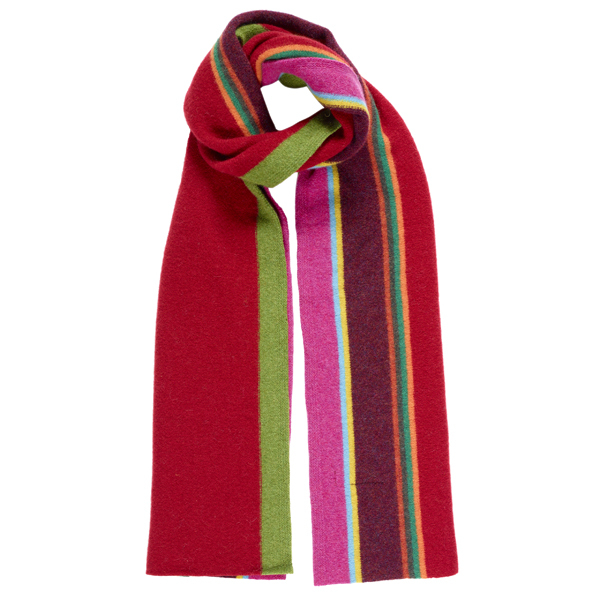 Stand out and wrap up with this gorgeous soft and warm 100% Pure New Wool bright red striped scarf. Designed and made in Scotland by Green Grove Weavers. Founded by Ann Bell and Kenneth Pollock, based in Morayshire, Scotland. They produce high quality accessories in natural fibres made with care in their native Scotland. Long hand woven alpaca scarf in sapphire blue with black edge and soft fringes.